Typically, you will need to have installed on your system a file downloader for your YouTube or Vimeo videos and another one for your BitTorrent downloads. Free Download Manager is an open-source downloader that combines both download types in a simple and nicely-designed interface. Thus, you can drag and drop onto the program’s interface any number of URLs and combine them with your favorite .torrent files and magnet links, and manage all your downloads with just this tool. The program supports some of the most popular media sites, and allows you to select for download any of the video and audio file formats available for playback in the original site. You are constantly updated in real time on the download speed of each file, its status (including the percentage downloaded and the ETA), and the total size versus the downloaded size, and you can resume any paused or broken download at any time without having to start it all over again. A series of convenient tabs placed on the top side of the download list will allow you to view all files, those that are active, the completed ones, the torrent downloads, and those coming from YouTube and other sites. Actually, you can add as many new tabs as you wish, and thus customize the way you view and manage your downloads. 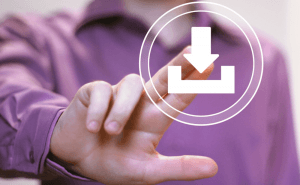 Free Download Manager offers video and audio preview for downloads in progress so that you can check whether you’re downloading the right file or not. Torrent-based downloads allow for file selection, both before and during the download process. Together with the information provided for online files, you are also kept informed about the trackers you’re connected to and the peers you’re sharing your torrents with. The program offers you interesting and useful settings to customize your download experience. It integrates seamlessly with all the most widely-used browsers (Google Chrome, Mozilla Firefox, Microsoft Edge and IE, and Safari), supports more than 30 languages, and allows you to check your list of active and completed downloads remotely via the Web. You can also adjust your traffic usage to the one that fits your Internet connection best, and accelerate your downloads by splitting files into smaller and more convenient packages or use the Snail download speed to allow for more simultaneous tasks without interrupting your downloads. Free Download Manager adapts perfectly to your Internet connection, download and upload speeds, and your navigation habits so that no download is ever lost due to an exceeded traffic or a slow ISP provider. This open-source tool is all you’ll ever need to grab videos from the Web and share your favorite torrents.